TM-780/920/1080Â Automatic Stripping MachineÂ belongs to post printing machine, Post processing of paper creasing and die cutting. As a professional equipment, mainly used all kinds of cardboard, trademarks (tag), plastic film and other small packages automatically remove the edge and take out complete paper product, good partner of the semi-automatic die cutting machine and roll paper flat die cutting machine. It is suitable for printing, packaging decoration and plastic industries in production. 1. Automatic Tags Striping and Taking out machine Replace manual disassembly, Save manpower. Improve product quality and enterprise benefit. 2. 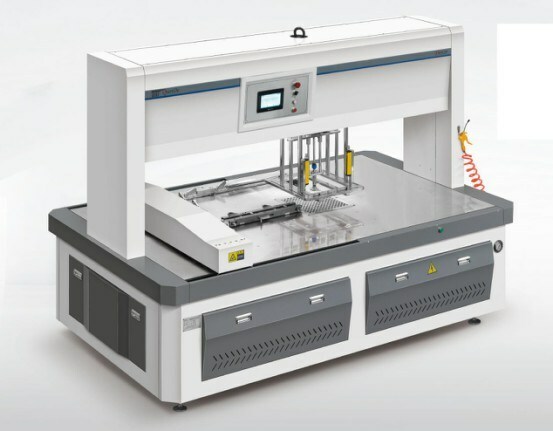 Professional equipment for all kinds of cardboard, trademark(tag), plastic sheet and other small packages automatic stripping and taking waste paper edge which after automatic die cutting and semi-automatic die cutting. 3. The machine adopts the latest hydraulic cylinder system, high precision wire rod guide rail and modern program controller, which can guarantee the machine is durable and safe operation. 4. Table chrome treatment, thimble automatic locking, convenient customer palette. #70-72 Â Qijiguang Road ,Yiwu City ,Zhejiang Province ,China.